Brought my M140i in for stage 1 remap and I was shocked what they managed to do, exceeded my expectations massively. Not only do they do an amazing job on the car but they were the nicest and friendliest people. 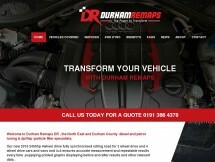 If you are looking for properly done Remaps with insane results definitely come here!